Logo development, stationary, envelopes, appointment cards, stamps, moving announcements, job postings, website (still in progress), signage indoor and outdoor, interior design & concept. 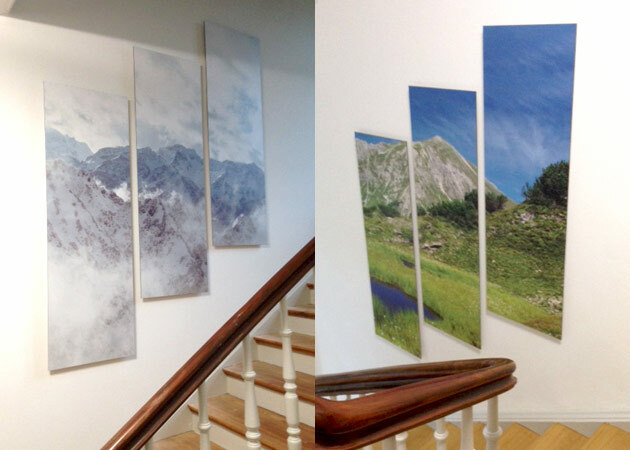 The pictures show the art installation in the huge stairwell of the building, featuring mountainous landscapes by Andre Hofmann. The wavy lines of the logo pick up exactly this landscape of green mountain pastures and blue skies that shape the Southern German Allgäu, but are also reminiscent of brain waves. The logo and every single text on paper that leaves the office is set in the font FS Me, which was specifically developed for people with learning disabilities. 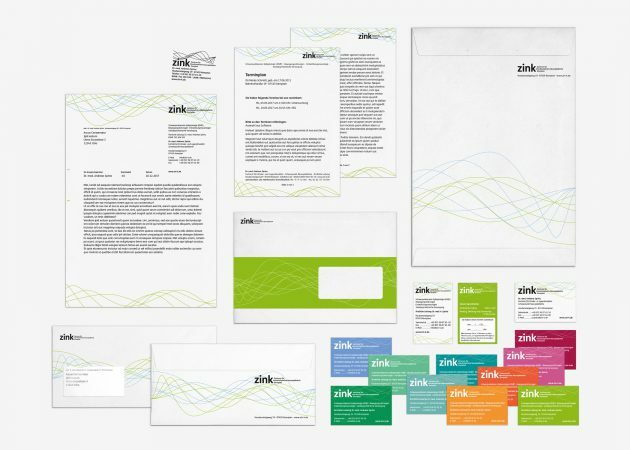 A mostly black, white and green color scheme gets broken up on the backs of the business cards, where each team member picked their own individual color. 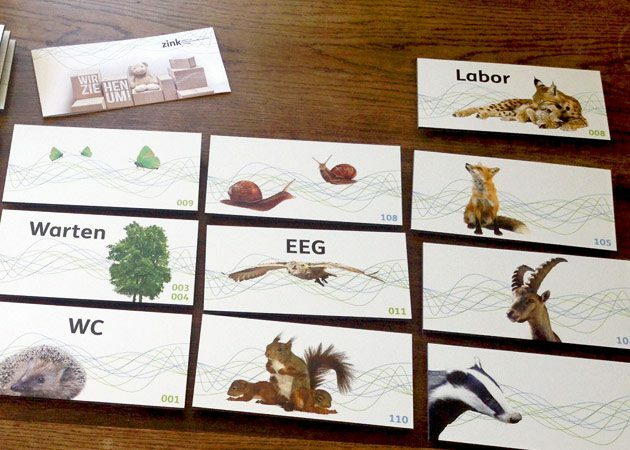 Inside the office, the rooms are marked by native animals rather than numbers, to make it easier for the children to find their way around. 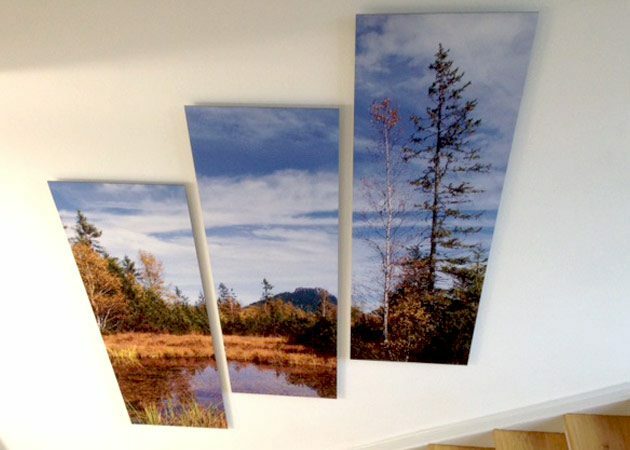 Each room is decorated with photographs of matching animals, again by Kempten’s local wildlife photographer Andre Hofmann.